If you haven’t taken notice of it, the SEO business has many worthwhile, experienced, skilled, and valuable individuals who offer a variety of different services, perspectives, and knowledge. There are a group of experienced people out there offering a wide range of SEO tips and suggestions. These individuals have become leaders of their craft. The search marketing and optimization world has so much information—it is sometimes hard to distinguish good advice from bad, but if you follow experts in our field who can present information, tips, and suggestions in an understandable manner, you will fare better. These SEO and social media leaders are always on top of their game and make it their responsibility to stay abreast of change. They are the people to follow if you want to learn fast. So without further ado, here my list of the top 10 male SEO leaders and why I believe they deserve your attention. My advice: see if there is anyone on my SEO list you can relate with and follow them. 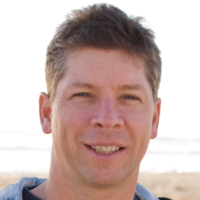 From the Greater Seattle area, Geoff Kenyon specializes in web marketing and uses edge marketing. Geoff has wide-ranging SEO experience and an avid desire to bring targeted prospects to websites for a higher conversion rate. He was born and also grew up in Santa Barbara, California. He moved to San Luis Obispo at college-age to attend the California Poly State University where he studied marketing and psychology. Geoff loves to ride his mountain bike on the local trail and to barbeque on the backyard grill when he is not working. 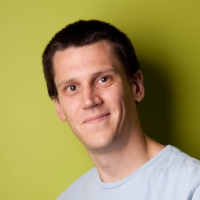 He worked at Distilled for five years as an SEO Consultant and has been with Moz since 2010 as a Global Associate, blogging and answering questions. When he is not on the Internet, Geoff is indulging in motorcycling, boating and biking. 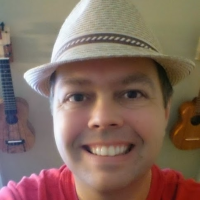 Founder of seobook.com, Aaron Wall is a well-known search engine marketer and blogger with a popular SEO book authored and published by him. With more than 111,000 followers and a little less than 2,000 Tweets, Aaron and his partners have shown why they are the ‘go to’ guys when it comes to SEO consulting and the changing trends of the Internet. Aaron can tell you the answer to just about any SEO topic because of his years of blogging, creating hundreds of websites and perusing through thousands of search information. If he doesn’t know the answer, he can probably lead you to the right person to ask. When not working, Aaron loves to read about online trends and macro-economic topics. This allows him to create new ideas in an attempt to get it on the Internet before anyone else does. Mike Blumenthal of Olean, New York has been widely referred to as the most well-known search expert locally in North America. He is lovingly known among his peers as “Professor Maps.” If you want to understand Google Maps and how to conduct local searches, Mike is the person to go to. In fact, he has a blog dedicated to this topic. Many online marketers and local companies know that if they visit Mike’s blog, they will certainly come away with rich insights as it relates to SEO tactics, local search news and troubleshooting. In addition, Google has found Mike’s blog to be captivating. In fact, Google’s employees drop by regularly to get a dose of constructive critique and inspiration. Mike is a father of two and an affectionate husband. Family comes first and during his spare time, he spends it with family or on his biking and photography hobbies. 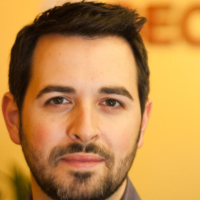 Born in Flemington, New Jersey and President of Moz, Rand Fishkin attended the University of Washington in Seattle – from 1997 to 2001. He dropped out of college to start the business at Moz.com. Rand has co-authored a book from O’Reilly Media called “The Art of SEO.” He also is co-founder to inbound.org. He is addictive to anything related to content and social media. In the little spare time he has, Rand spends quality time with his wife, Geraldine who runs an amazing travel blog of their journeys together. Before he reached 30 years old, Rand was listed as one of the 30 best entrepreneurs in the tech industry. 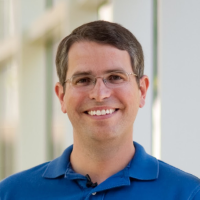 Matt Cutts is a specialist in search engine optimization at Google. His public face makes him the authority on Google search tactic. He enjoys helping webmasters to understand how the search algorithms of Google work. He answers hundreds of SEO questions via video. Matt began his search optimization and marketing career while he was pursuing his Ph.D. in Chapel Hill at the University of North Carolina. He received a Bachelor’s degree from the University of Kentucky and his Master’s Degree at the University of North Carolina. He transitioned into the information retrieval, web spam and search engine field in 2007. With more than 290,000 followers and more than 21,000 Tweets, Matts shows why he is a reputable person on the social media network. 2005 Founder of Distilled and partner with Duncan, Will is a consultant to some reputable global organizations and renowned websites. He has done quite a bit of public speaking at some major events in the SEO industry and frequently appears at local and nationwide press-related conferences. He is one of the geniuses of the management and marketing team at Distilled. He spends a great deal of time on content, which is the most superior marketing at Distilled. He has more than 21,000 followers on Twitter and more than 13,000 Tweets. When he is not working, Will loves to cook, play basketball, and drink whisky, but not necessarily in that order. 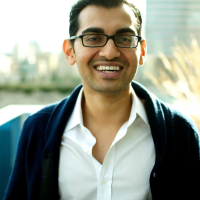 Neil Patel originated from India, but is based in Seattle, Washington as an entrepreneur. He is also an angel investor and expert in analytics. Neil Patel has many years of experience in link building for SEO, especially post-Penguin SEO. Neil is well-known for work done on digital marketing. 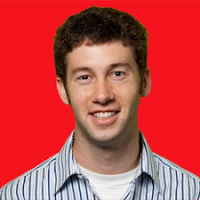 He co-founded KISSmetrics and Crazy Egg, which are two famous analytics companies. He started on the Internet when he was in high school. He taught himself how to drive traffic to his website after many failed attempts of hiring other SEO companies. With more than 112,000 Twitter followers and almost 8,000 Tweets, Neil exemplifies the whole idea of social media networking. Editor-in-chief, Danny Sullivan works at Search Engine Land and since 1996, he has been widely known as the industry leader on search engines and search marketing matters. He supervises the SMX Search Engine Expo conference sequence at Search Engine Land. He loves to talk about content, blogging, SEO, demographics, customer behavior, keyword research, and analytics. He also regularly shares his love of his home, Newport Beach, California, with pictures of sunsets that will make anyone jealous. 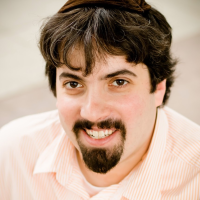 Hailing from the Greater New York area, Barry Schwartz has staked his claim in the SEO and social media market. He received his education from the University of New York, Baruch College and Zicklin School of Business. CEO of Rusty Brick, Inc. Barry specializes in web service and tailored online technology. His service helps to reduce costs and improve sales for many companies nationwide. 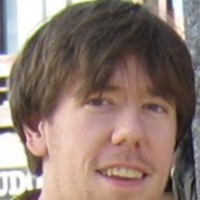 He runs a blog called the Search Engine Roundtable, which is thought to be one of the most reputable industry blog. With almost 45,000 Twitter followers and more than 36,000 Tweets, Barry has made an impact on the SEO community. As an online marketing consultant, Andy Beal is also known as a professional public speaker, author and popular blogger. His specialty is improving the online reputation of companies. He has done with some renowned companies like Lowes, NBC, Motorola, and Quicken Loans. He is much respected as the spring board for online marketing advice. 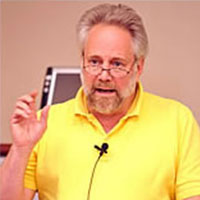 He has had many articles in Forbes Magazine, BusinessWeek, and Web Pro News. He continues to keep abreast of search engine news and developments in online marketing. Andy has been featured in the New York Times and the Wall Street Journal. He has also appeared on CNBC and ABC News. These are only some of the powerhouses in social media and SEO, but they deserve your respect and that is why many will advise you to follow their activities online to gain the best knowledge and information there is. Stay tuned tomorrow for my list of Top 10 SEO Women and Why You Should Follow Them!